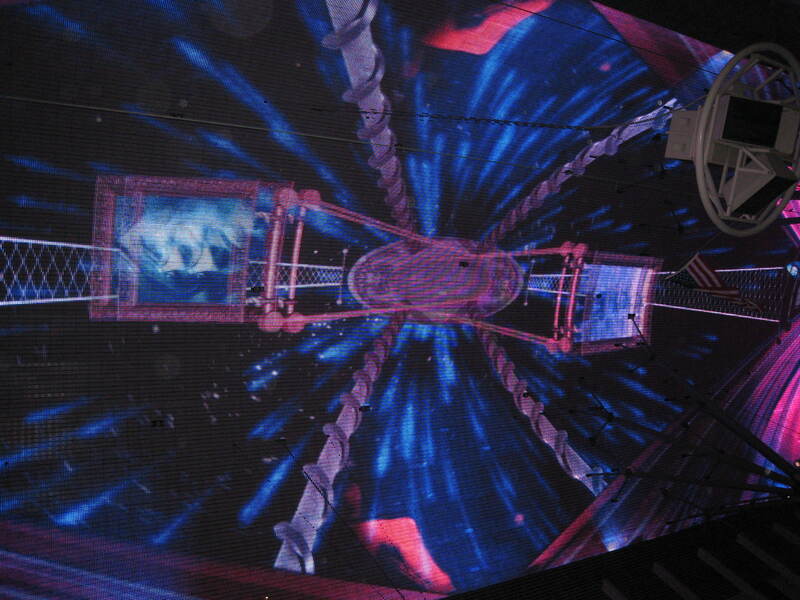 A few blocks north of the dancing fountains, erupting volcanoes, and singing gondoliers of the Las Vegas strip is the Fremont Street Experience. 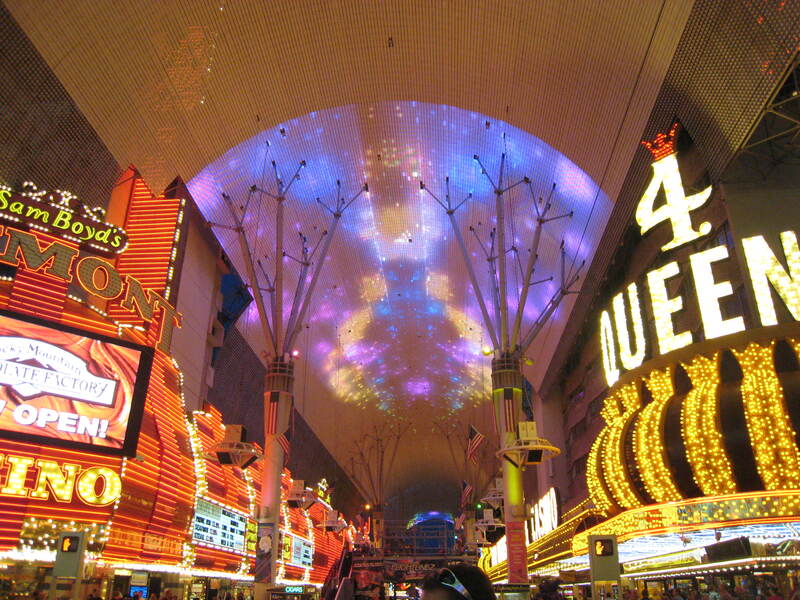 Located in old downtown, the four westernmost blocks of Fremont Street is a covered pedestrian mall where every night the 90 foot vaulted canopy illuminates the sky with a free LED light show. Reminiscent of a stroll along a carnival midway, street performers of all shapes, sizes, and talents stake out their bit of space to entertain the crowd and hope for a few bills in the tip jar. 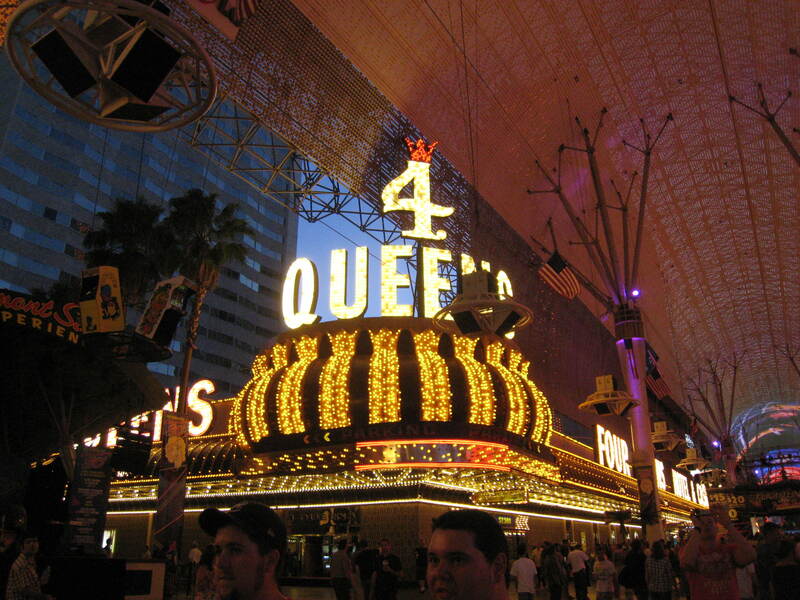 On the corner, a lime-green spandex suited contortionist is closing himself inside a box while two show girls in red feathers and fishnet pose for pictures. Captain Jack Sparrow swaggers while a svelte pirate wench, bustier overflowing, beckons to come closer. The Blues Brothers, Rick James, various species of super heroes, villains, aliens, and, of course, Elvis work the crowd and pose for pictures. 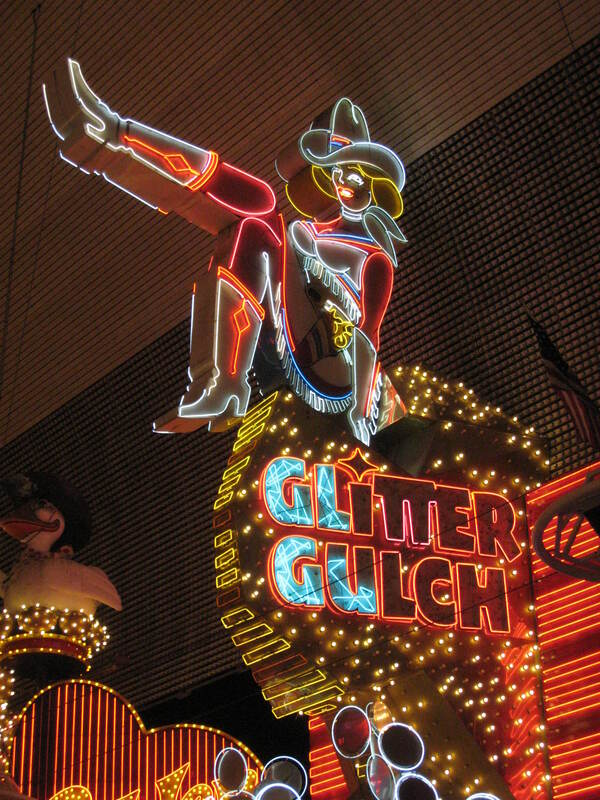 At the top of the hour, the bands stop, the street musicians take a break, and the outside casino lights of “Glitter Gulch” are extinguished. 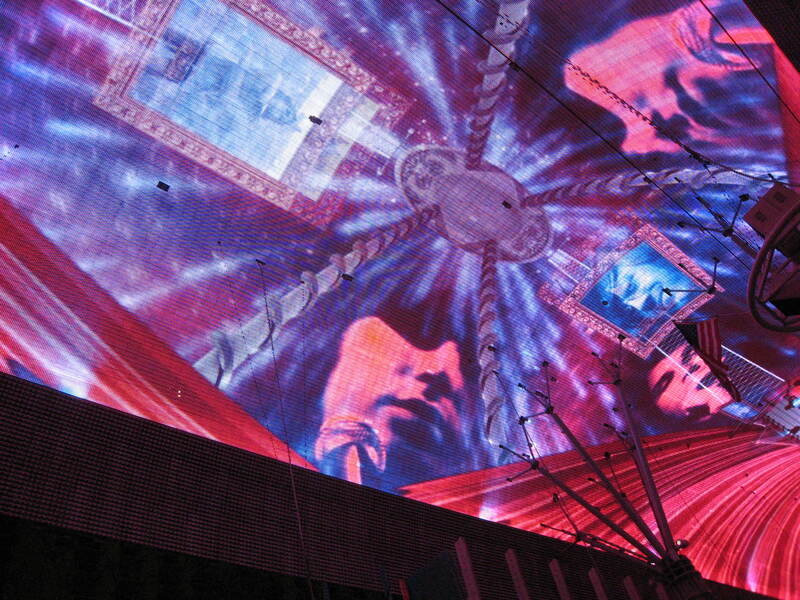 While the canopy above erupts with psychedelic images of the sixties, 220 speakers emit the opening notes of the Doors’ “Riders on the Storm.” The crowd collectively raises its face to watch Jim Morrison emerge from a tie-dyed stream of color as his whiskey smooth voice slides into “People are Strange.” As the six minute show ends, the block party continues only to pause when another show begins as the next hour rolls by. 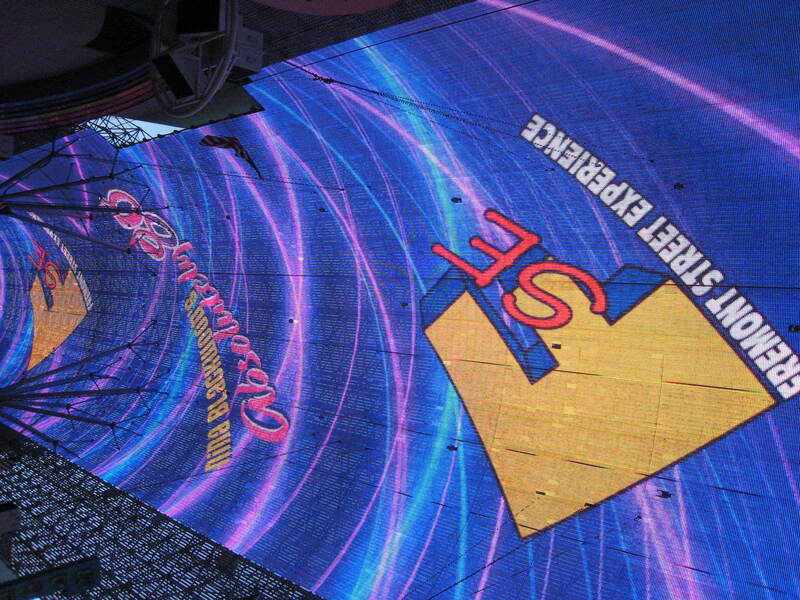 After the midnight show, the clang of slot machines from the open casino door beckons for one last bet as the lonely song of a saxophone signals the Fremont Street Experience is over – at least until tomorrow at dusk. 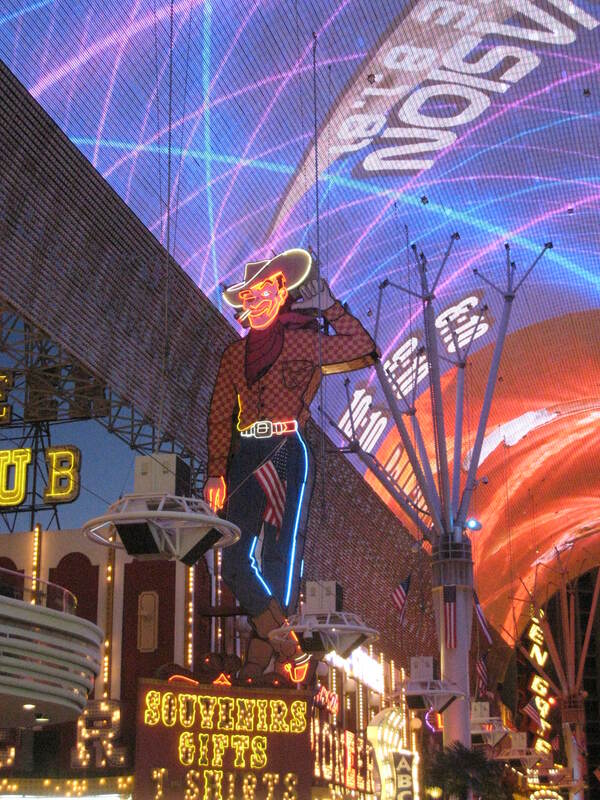 This entry was posted in Locations, Uncategorized and tagged Fremont Street Experience, Las Vegas. Bookmark the permalink.